Jeffrey R. Hall is a partner of the Firm, practicing primarily in business and commercial litigation, bankruptcy, condemnation law, and eminent domain law. 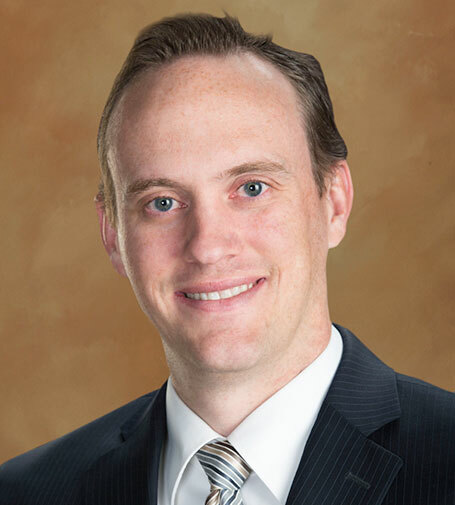 Originally from Reno, Jeff graduated from Brigham Young University with a degree in Political Science and received his Juris Doctorate from the William S. Boyd School of law at the University of Nevada, Las Vegas in 2005. While in law school, Jeff had the opportunity to serve on the Nevada Law Journal and was also a member of the J. Reuben Clark Law Society. Jeff also completed a judicial externship with the Honorable Judge Jessie Walsh in the Eighth Judicial District Court of Clark County, Nevada. Jeff co-authored “New ‘Small Business’ Bankruptcy Changes Will Impact Most Chapter 11 Filings,” published in the Clark County Bar Association Journal, Communiqué, Vol. 27, No. 4, April 2006. Away from the office, Jeff spends his time enjoying the outdoors and playing sports.